Unfortunately, some of these men developed skin cancer. Melanoma is the most aggressive and most dangerous form of skin cancer. Melanoma develops when damage to skin cells triggers mutations that lead the skin cells to multiply rapidly and form malignant tumors. Many people think of melanoma as dark, asymmetrical moles, and in fact melanoma can develop from existing moles, but melanoma can also form directly on the skin. Melanoma has been estimated to cause over 10,000 deaths in the United States each year. The problem is, men taking Viagra seemed to be developing melanoma at a greater rate than the general population developed melanoma. The Plaintiffs allege that Pfizer knew or should have known about the connection between Viagra use and melanoma, even going back to the late 1990s. Several studies linked Viagra use and the increased risk for melanoma. A 2014 study indicated an 84% increase in the risk of developing melanoma after taking Viagra, or worsening the effects of existing skin cancer. Despite these studies, Pfizer continued to market Viagra aggressively (and you would think this medication would sell itself, given what it cures). Pfizer has marketed Viagra to younger men. Through the years, and through increasingly aggressive marketing campaigns, Pfizer did not warn users about the increased risk of developing melanoma. The general public and doctors who prescribe Viagra would not have known of the risks of taking Viagra. Pfizer knew or should have known that the drug posed a significant health risk to the men taking Viagra. The health risks of taking Viagra outweighs the benefits of using the drug, but Pfizer kept selling it anyway. After all, erectile dysfunction, while unpleasant, does not pose any health risks to men. Pfizer aggressively marketed and sold Viagra, for decades, and made a lot of money selling it. As a result of all these sales, consumers of the drug were placed at increased health risks. These men were seriously injured by taking Viagra. Melanoma is a serious health issue. Pfizer downplayed the risks through the manufacture and sale of Viagra. Pfizer did not mention any potential risks for developing melanoma in the medication label or package inserts. Pfizer did not mention any potential risk for developing melanoma in its advertising materials. As a result of Pfizer’s actions, the plaintiffs were injured. If doctors would have known of the risks, they would not have prescribed the drug. If patients would have known of the risks, they would not have taken the drug. Please remember: at this stage of the litigation, the allegations listed above are not yet proven. Pfizer has denied many of the allegations and will have the opportunity to defend itself, and intends to . . . vigorously. 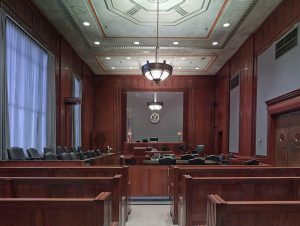 Pfizer is represented by Williams & Connolly, DLA Piper, and Kay Scholer, three of the most expensive defense law firms in the country. Look for a pitched court battle. 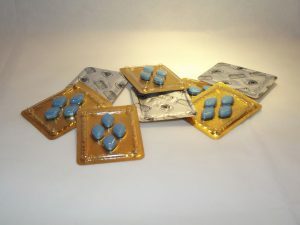 Still, the scientific studies are mounting which point to a clear connection between Viagra use and the increased risk for melanoma. Please talk to your doctor if you are taking Viagra (or Cialis or Levitra); it may not be worth the risks. I’ve written about Viagra and the Viagra litigation on this site. Check it out for more information.